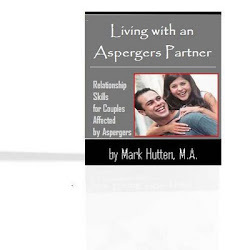 Anxiety is a prominent trait of Asperger’s and High-Functioning Autism. As a result, many adults with the disorder struggle to get to sleep no matter how tired they are, or they wake up in the middle of the night and lie awake for an hour or more. Symptoms of insomnia include: (a) daytime drowsiness, fatigue, or irritability; (b) difficulty concentrating during the day; (c) difficulty falling asleep despite being tired; (d) relying on sleeping pills or alcohol to fall asleep; (e) trouble getting back to sleep when awakened; (f) non-refreshing sleep; and (g) waking up frequently during the night or waking up too early in the morning. Is your sleep environment quiet and relaxing? Have you recently gone through a disturbing experience? Do you try to go to bed and get up around the same time every day? Do you struggle with ongoing feelings of stress or worry? Do you have any health problems that may be affecting your sleep? Are you anxious most of the time? Are you taking any medications that may be disturbing your sleep? Are you sad or depressed? Do you feel hopeless or helpless on occasion? 1. As odd as it sounds, rub your ears and roll your eyes before trying to fall asleep. This will promote calmness and relaxation. 2. Avoid stimulating activities before bedtime (e.g., video games, the news, violent movies, etc.). 3. Close your eyes and take deep, slow breaths, making each breath even deeper than the last. 4. Consider using Melatonin and/or Valerian. These supplements help regulate your sleep-wake cycle. 5. Do a quiet, relaxing activity (e.g., reading a book). 7. If you can’t sleep, get out of bed and do something constructive rather than staying in bed and fighting to get back to sleep. 8. Lie quietly and focus on your natural breathing and how your body feels in the moment. 9. Make relaxation your goal – not sleep. 10. Make sure your bedroom is dark, quiet and cool. 11. Move your bedroom clock out of view. 12. Postpone brainstorming and worrying. If you must worry, do it tomorrow after a full night’s rest. 13. Starting with your feet, tense the muscles as tightly as you can. Hold for a count of 10, then relax. Continue this for every muscle in your body, working your way up from your feet to your head. 14. Stay out of your head (i.e., don’t ruminate about what happened earlier in the day or what’s going to happen tomorrow). 15. Stick to a consistent sleep schedule. 16. Turn off the TV and cell phone at least an hour before bed. 17. Use the bedroom only for sleeping – not as an entertainment room with a computer, TV, etc.). 18. At least two hours before going to bed, be sure to avoid alcohol, a big evening meal, caffeine, and drinking too many liquids. 19. For those of you who believe in God and who acknowledge your spiritual-being, prayer before bedtime can have a calming effect as well. 20. Lastly, spend just a couple minutes each night reflecting on your blessings. Insomnia is a very common problem for people on the autism spectrum. It takes a toll on one’s energy, mood, and ability to function. Don’t resign yourself to sleepless nights. By addressing the primary causes and making simple changes to your sleep environment and daily habits, you can put an end to the frustration of insomnia.